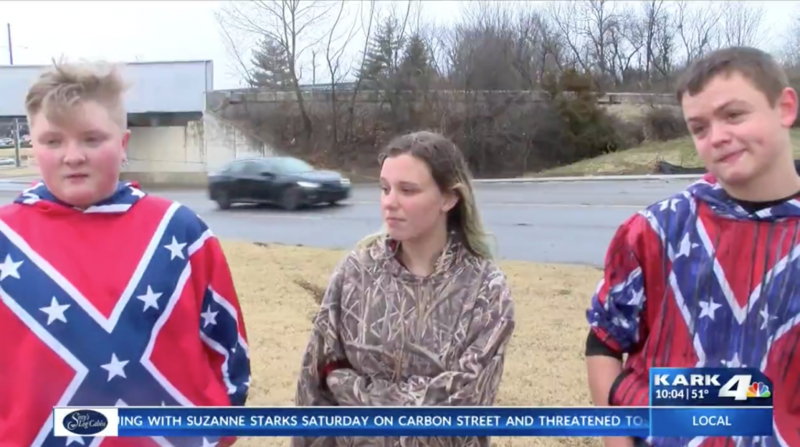 January 29th, 2019 – Students at an Arkansas high school faced backlash after wearing Confederate flag shirts to school last week. A few Fayetteville high schoolers chose the flag-wear as part of the “History Not Hate” movement unfolding on a hashtag near you. According to local news station KARK, the students dug in further by also painting confederate flags on their skin. The local school district has rules in place concerning dress code that mirror similar educational guidelines across the country. “Attire that disrupts the educational process or otherwise interferes with the rights or opportunities of others to learn or teach is considered improper and unacceptable,” the rule reads. School administrators gave students the option to take off the Confederate flag shirts or go home. All but one student chose to remove the shirt, resulting in an out-of-school suspension. Speaking to KARK cameras, one student brought up a popular but always debated point: wearing Confederate clothing is for Southern pride, not hate. “None of us are racist. None of us are doing it for hate. It’s southern pride, and we’re not going to take it off for anyone. It’s our flag. It’s Arkansas. This is the south,” he said. Another student echoed similar thoughts saying it’s not about hate and that he has friends of different races. In 2018, a clip from a 2015 high school debate over the Confederate flag went viral showing then-sophomore Christopher Justice quoting Section 9 of Article I of the Confederate States Constitution. Arguments over controversial, politically-motivated clothing at schools have seen an uptick over the past few years. 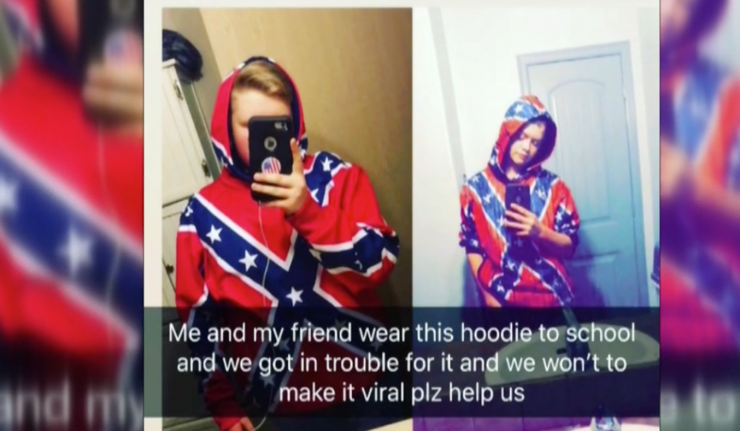 Last May, a Montana high school student was suspended after repeatedly wearing a Confederate flag sweatshirt despite requests to stop. In July of 2018, a high school student in Oregon actually won a lawsuit (as well as $25,000 and an apology) after being suspended months before for wearing a “Donald J. Trump Border Wall Construction Co.” t-shirt in class. Do you think the Arkansas students should have been allowed to wear the Confederate flag shirts or was the suspension appropriate?